Bottesford Guides, presented with a trophy by two Guides Commissioners. Possibly a presentation by the two un-named Commissioners standing behind the back row. 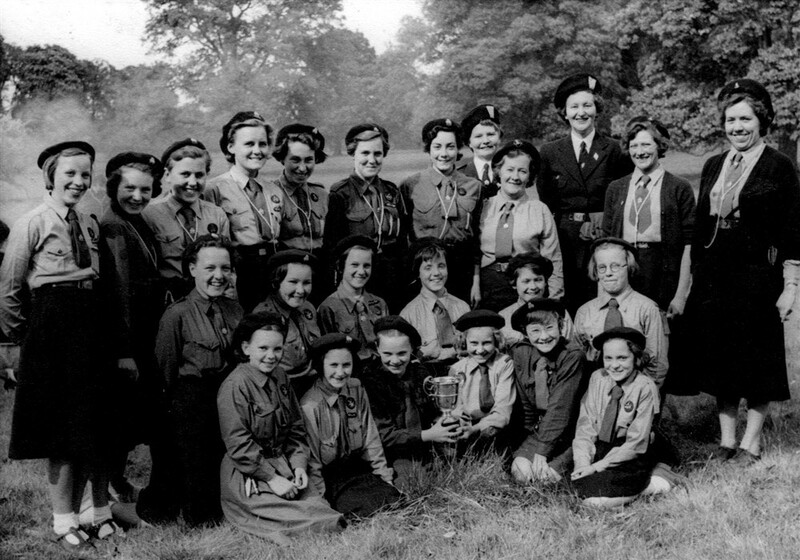 Back row, L to R: Barbara Taylor, Jill Newton, Jill Howitt, Wendy Topps, Pauline Gilbert, Maureen Cooper, Maureen Tinkler, Mrs Lane (Bottesford Guides Leader), Margaret Tritton, Margaret Buxton (Guides Leader). Middle row, L to R: Pamela Jackson, Margaret Mitton, Anne Dunsmore, Vivian Jallands, Glennis Sharp, Brenda Taylor. Front row, L to R: Ann Wilkinson , Maureen Guy, ? , ? , Margaret Pearson, Christine Goodson. The location is not recorded.